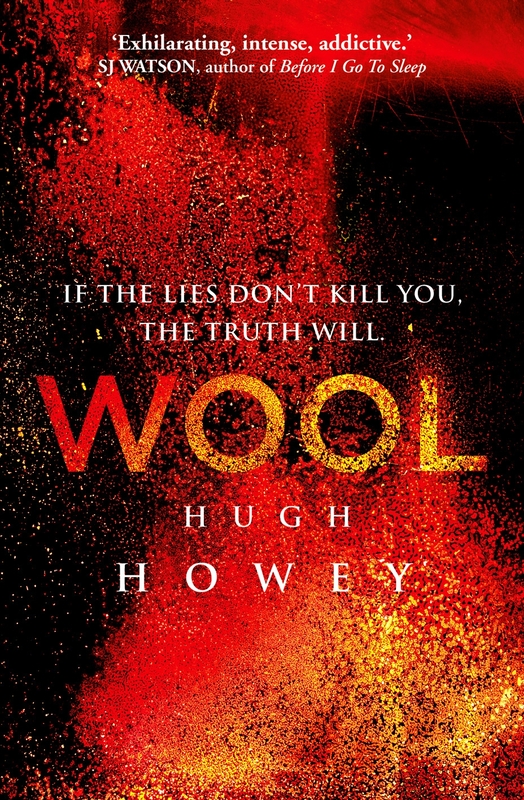 Reading Hugh Howey’s WOOL got me to thinking – again – about just what it is that makes a good story great. When does it rise above the level of mere entertainment and into the realm of the Gobsmackingly Grand? What is it, Mr. Ruskin, that divides “the books of the hours” from “the books of all Time”? That, I am sure, would be fascinating material for a first-rate dissertation. But I shan’t be the one to attempt it. It is 2:17 in the morning and I have exactly this much interest (that is to say, none at all) in waxing loquacious. Especially when the only fortifying beverage in my glass is chocolate milk. No, I’m just here to tell you that this is a terrific book and you really ought to buy it and read it and buy copies for your friends so they can read it and buy copies for their friends and so on and so forth ad infinitum. Yeah. I was impressed with WOOL from the first page, but not until the last did I realize just how impressed I really was. Mr. Howey has created something truly remarkable here. His post-apocalyptic world – centered on a community that dwells in a giant underground silo hundreds of stories deep – feels at once fantastic and grittily, grimily, dirt-under-your-fingernails real. The characters who populate it are a compelling jumble of heroes (the kind you love to love) and villains (the kind you love to hate) and in-betweeners (the kind you generally feel rather sorry for). The story that sweeps them all along is epic without being impersonal; intimate without sliding into melodrama; and intelligent without ever losing its head in the clouds. Howey’s sense of pacing is simply beautiful. And with all due respect to Jonathan Hayes, Howey’s “supple, muscular writing” is not just “the icing on the cake.” His writing is what holds the whole bloody thing together. It is the skeleton to wrap the flesh around, the frame on which everything else hangs. Icing on the cake? Nonsense. If we’re really going with the cake metaphor, Howey’s writing has got to be the flour. I’d rather it be a pie metaphor, because pie is far superior to cake. But whatever. I will only add that I love the story behind the story. Howey wrote WOOL while working as a bookseller, writing faithfully each morning and during every lunch break for nearly three years. He self-published in 2011, and the book has since become a hit that nobody ever saw coming. Knowing nothing else about the book, this fact alone is what originally sparked my interest. I’m glad I paid attention. It’s gonna be a classic. Oh, and this: I hear the inimitable Ridley Scott has already optioned the film rights. I love this, too, because frankly, I can’t think of anybody else with a better chance at successfully bringing Howey’s story to the big screen in a suitably epic fashion. While we’re on the subject, here’s a vote for Tommy Lee Jones as Sheriff Holston, Philip Seymour Hoffman as Bernard, and Jessica Chastain as Juliette. 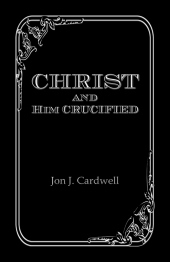 And the providential winners of the Jon Cardwell’s Christ and Him Crucified are… Michael Wright and Samuel! Congratulations! I’ll contact you by e-mail and get your prizes shipped as soon as possible. My sincere thanks to all who participated. I really do appreciate it. Also, next Monday, I’ll be hosting the second annual Soundtrack Giveaway here on this blog. Never heard of such a thing? Be sure to check back, and you’ll have a chance to find out!